Wow, they look great! Awesome detail. Lucky you with the skinny thighs,,,,,in my dreams. Thank you Bunny! My thighs are on the other end of the spectrum...TOO skinny but oh well, it is what it is. But sewing lets me accommodate them which is what is so wonderful about sewing. Great job on these: they look very professional. Thanks so much. I believe I have to work on the fit a little more but they came out pretty good for a muslin. They look good Tomasa! Hee for skinny thighs, mine are the opposite! Thanks so much Kyle! I need to tweak them some more but overall, they came out pretty good. Thank you MaryEllen! I still need to work on the fit but overall, I am happy with them and have worn them several times. Thanks so very much Hana Velvet Ribbon! 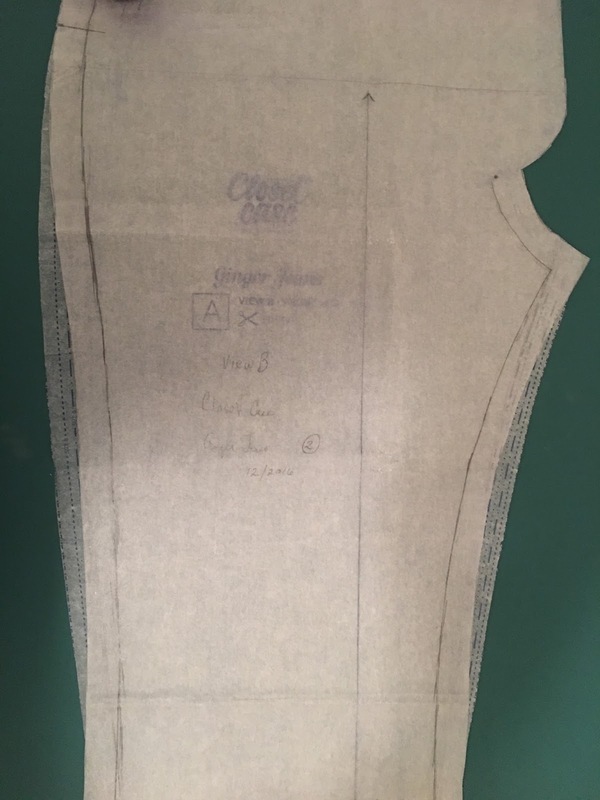 Thank you so much for reviewing this pattern and discussing what you like about it! Your muslin looks very good and the fit is great. Can't wait to see your next pair after your adjustments to the pattern. Thank you Virginie! Overall they are pretty good for a muslin. My biggest challenge is always that excess fabric below the derriere but I will just keep trying different types of adjustments until I get there. It's all about experimentation for me. 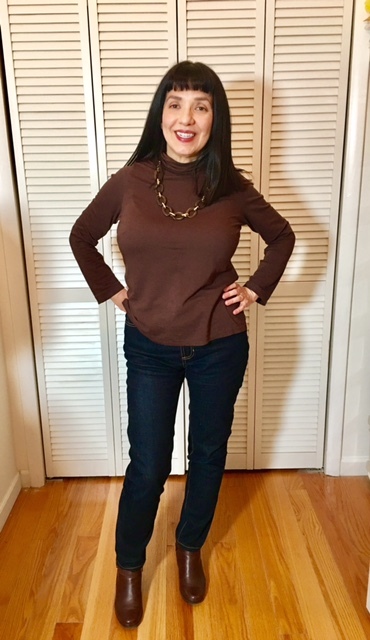 Nice to see these on you Tomasa, they look great!Lucky you with the skinny thighs... somehow I doubt I will need that adjustment when I finally get around to making mine! Thank you Winter-Queen! I look forward to seeing your version when you get to them. These are beautiful Tomasa!! You did that, and made is look so EASY! I think the fit is really good too. Thank you Vanessa! Jeans aren't really that hard. They are just pants with lots of topstitching. They look fantastic! I will definitely make these one day, I'm yet to tackle trousers. Thank you so much Lynsey Jane. I encourage you to give them a try one day. Thank you Eli cat. I am sure you would make a gorgeous pair of jeans that would fit you perfectly! What a perfect fit! You really make it look easy. Very beautiful. Thank you The Sewing CPA. Jeans aren't really that hard. They are just pants with lots of topstitching...so they are a little time consuming but manageable. 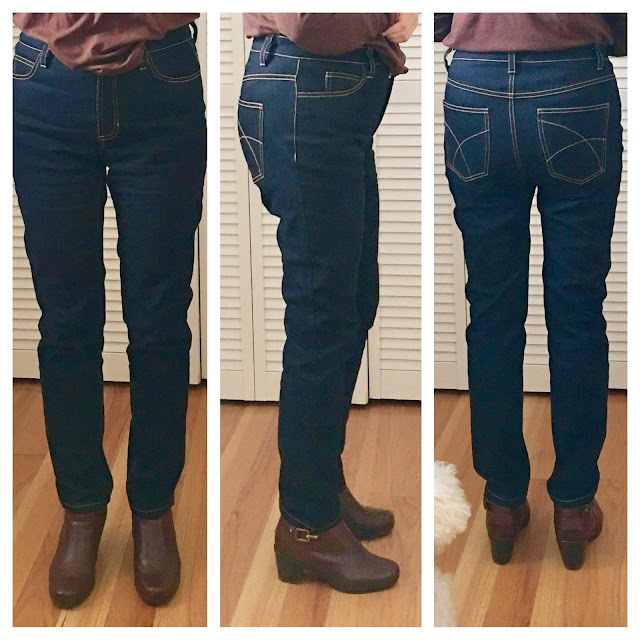 These really are a wonderful wearable pair of jeans. Your version is the best fitting pair I've seen of this pattern so far. Flattery will get you everywhere - ha!!! :) Thanks so much Maria Oliver! A very wearable muslin indeed!! 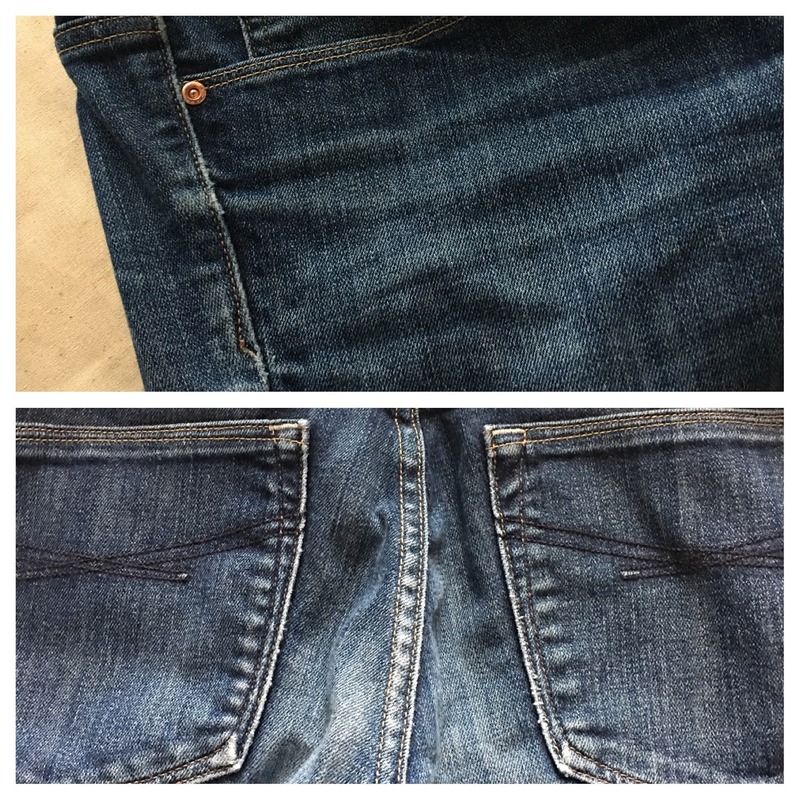 That fit is pretty darn good, and the top stitching is perfect. Thanks so much Barbara! I feel like I need to tweak the fit a bit but overall, they fit nicely. Thanks so much Carolyn! Sometimes things do work out! Your jeans look amazing! I now live in the jeans I've made!!! Thank you Rhonda! I am overall happy with them. I will be completely happy when I figure out how to get rid of all of the wrinkles going up and down the back legs but I will get there one day. Your jeans look so good! I love the top stitching on the back pockets. Thank you Anna! I am not completely happy with the fit but overall they turned out fine. Yes, the pockets were a lot of fun.